The Secretary of State for Infrastructures, Guilherme d'Oliveira Martins, firmly has rejected claims that the national railway company Comboios de Portugal (CP) is "in a state of collapse." "The opposition PSD / CDS-PP is creating a case that does not exist at all. There is no collapse whatsoever, what happens are options on the part of the CP to ensure that there are decent transport conditions and quality," rambled Martins. Guilherme d'Oliveira Martins blamed it all on the weather and the need for some summertime track maintenance, claiming that, "There is a misconception that there are not enough trains and that passengers are losing the quality of service." In July, Parliament unanimously approved demands to hear the president of CP, Carlos Nogueira and the Minister of Planning and Infrastructure at a Economy Committee of Inquiry into the state of rail transport. The problem with this, and the assertion that everything is just fine with the railways system, is that the three member CP board announced it was to resign - so Nogueira won’t be inclined to attend this scheduled meeting, or any other. 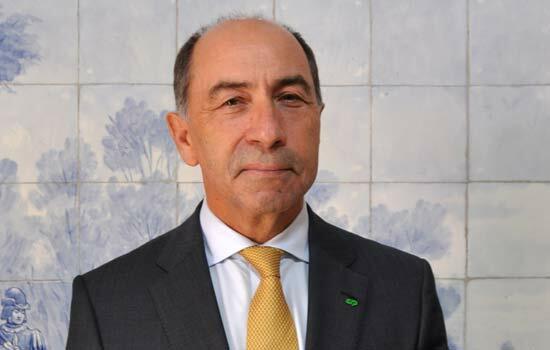 Carlos Nogueira replaced Manuel Queiro in the driving seat at CP in July 2017 so will have lasted just over a year before quitting. The board of directors Comboios de Portugal officially have presented their resignation to the Ministry just as things at the railway reach a low point. The Government now is looking for a new team to replace Carlos Gomes Nogueira, Sergio Abrantes Machado and Ana maria dos Santos Malhó, who all started on July 1, 2017. The Ministry of Planning and Infrastructures, under Pedro Marquês, is remaining tight-lipped over the board’s resignation shortly after his Secretary of State said everything is running smoothly. The head of the Railway Workers' Commission at CP, José Reizinho, earlier had complained of a "lack of investment" and that the company does not have the capacity "to respond, nor doe it have enough human resources, thus causing the degradation of the railway sector." Chickens coming home to roost. Portugal has potentially had tens of billions to modernise its transport infrastructure and railways over the last 30 years. Just how much never reached the railways? Now this money is going to newer EU arrivals to use sensibly to modernise themselves. So Lisbon allocating to its infrastructure and still heavily subsidised railways from an ever smaller pot.